Here are a couple of very special Neil Young + Promise of the Real concert reports from Essex Junction, VT on July 19, 2015 from our good friends at WBKM.org, Eric & Tony! Concerts for cause....performance with purpose.....entertainment with intent. 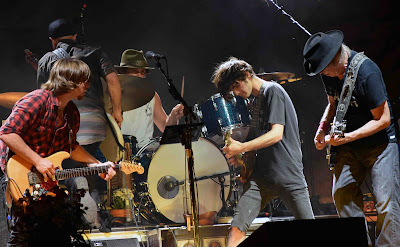 This is what has carried my spirit and vigor for Neil Young since I was a teenager. His ability to reach people, tug the heartstrings, and stand up for his beliefs continues to inspire me to carry the message forward. The message is clear: Mother nature is on the run and we need to respond. Coming off a rather rough personal patch to begin summer, it was with absolute joy to gather days before with family, friends and Rust clan from around the globe to welcome Neil to my hometown. 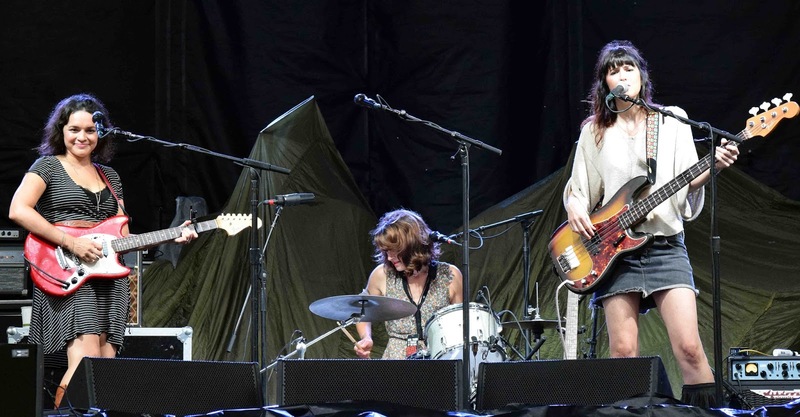 The venue was at our local fairgrounds in Essex, Vermont which has been a conundrum for many artists for years. Dylan struggled here on occasion.....David Lee Roth was confused by the place....Metallica had to break local noise ordinances and curfew calls to express themselves.....so it was refreshing to feel the Neil and witness the warm reception right outta the gates. Puss n' boots is an amazing band. Confidence, beauty, and ability complimented the silky Vermont evening as folks mingled and found their places. 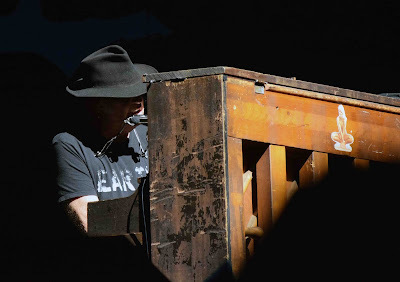 Stagehands dressed as farmers spread sacred seeds onto the stage and with sun setting Neil soon appeared maybe 25 feet directly in front of us seated at his piano. With a quick glance at my two oldest boys, a reach out from my wife's hand, the absolute purity of Neil's voice/ inflection had my soul "All in." An array of timeless tunes that emote warmth and connection allowed people to take in Neil's heart....I looked around and nearly everyone was singing.....so beautifully....."I wanna live.....I wanna give....." it chokes me up to even write it.....can we exist in this space forever.....together.....please? Once his acoustic set finished, Promise of the Real took the stage and flanked Neil. Best band name.....a reminder to keep to the truth. Sure rock and roll can be fun......sure it can be crazy and wild.....but to be true is to be great. No easy task for anyone. I've had the opportunity to see this band grow for the past decade as we attend Farm Aid nearly every year.....and every year I come home recharged knowing that this next generation has a band like this.....a band that honors the past while completely rocking the now. Always refreshing to witness anyone truly living their destiny......and these guys are. As a father I'm just so happy my kids will get to hear/ see this band for years to come. The set list just kept giving. White Falcon, one of Neil's classic guitars, plugged in and Neil and the Real hit full stride from the first notes and established that this is no ordinary band......Fascinating Micah Nelson playing Ben Keith's riffs with a bow.....serious hairball Lukas Nelson driving, jumping, and poking in and out of Neil's calls. Anthony keepin hot time, drumming it up, and smiling dearly.....a wide eyed Corey on bass truly conjuring up his best inner Talbot. Tato filling it all up with his heart of gold. The message was expectedly strong and focused. Monsanto, Starbucks, Safeway. The courage to call em out! Call out the corporate greed and chemicals that are killing the land. As the intensity built both my wife soon began to crave the creamy crunch of ol' Black. Raw, real, and potent the crowd danced, many mouths wide open as society is starved to hear something other than the greedy hand of capitalism serving up slop skimmed off the surface. Long way to go in this fight to reclaim Mother Earth.....yet I write feeling the magic in my heart and just grateful. Never have I a seen an artist so quick to leave.....yet maybe that's indicative of a speedier return. 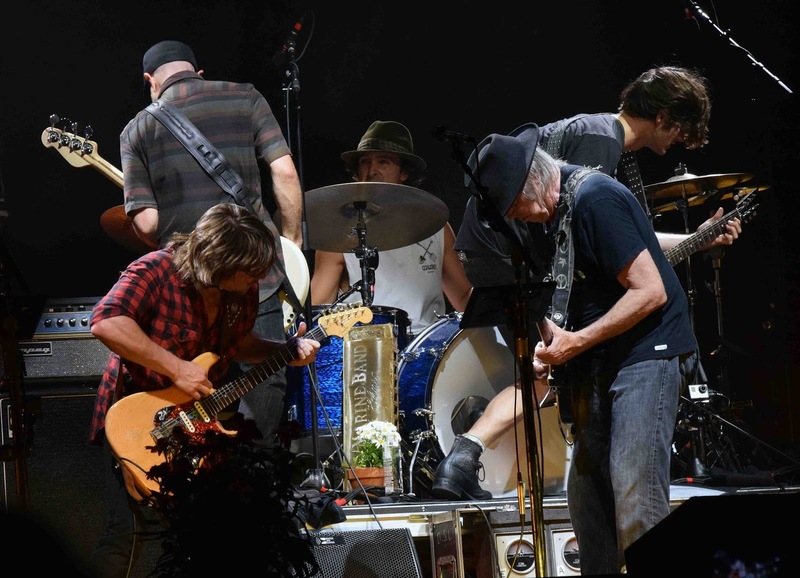 Long may YOU run Neil Young and I hope you dug the antique train lantern! Yes, indeed our once young Neil is nearing 70. 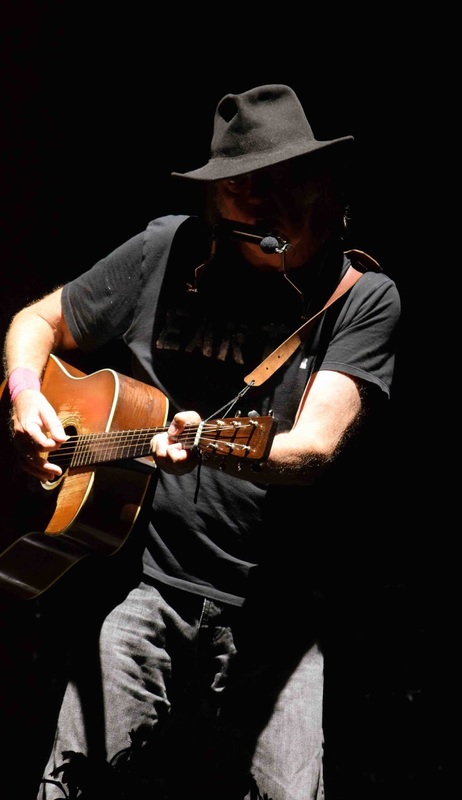 Well, on Sunday night July 19, 2015, Neil Young proved that 70 is the new 45. Playing with a band of musicians who were just barely born when "Ragged Glory" was released, Neil should have seen that he finally met his match. Instead, what he has met is a group of musicians equally passionate and dedicated and concerned about the future of our world...and as unafraid as he is to speak up about it. Tools sharpened. Prepare to rock. Thanks Eric & Tony for the eyewitness reports from Vermont! Sorry we missed making the trip but we'll be there next time, for sure. And thanks for all you do to keep it REAL on TW Radio! Tune in tomorrow night to Thrasher's Wheat Radio on Wbkm Dot Org for commentary, discussion and analysis of Neil & The REAL. peace & love. stay calm. no fear. use discernment. recognize the illusion. question authority. prepare for the big shift. be the wheat and keep on rockin' in the free world.